1. Start with the printer assembled (including receipt paper) but turned off. 3. Check the box for THERMAL Receipt Printer, then click the Installation button. 4. The "Select OS Information Dialog" screen usually detects your settings properly; if not, update those. Click OK.
5. 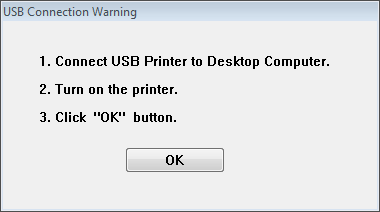 Follow the printer connection instructions: Start with the printer turned off. If needed, connect the printer's power cable from wall to printer. Connect the USB cable from the printer to the computer. Turn on the printer. Click OK.
6. 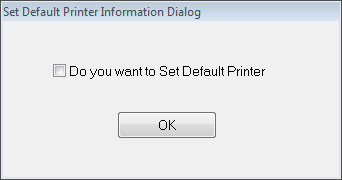 Uncheck "Do you want to Set Default Printer", then click OK.
7. 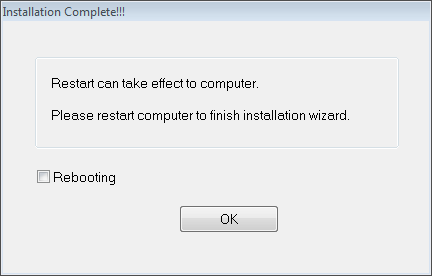 Uncheck the Rebooting checkbox, then click OK.
8. The printer should now show in Devices and Printers as "THERMAL Receipt Printer". 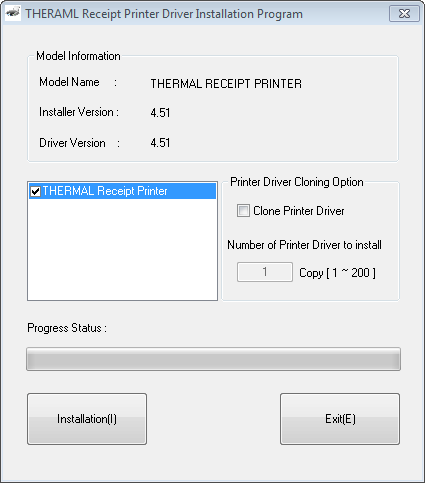 Other info: The driver installer creates a local printer port called USBPOS0 (this might have a different number at the end), and creates an entry in Programs and Features called "THERMAL RECEIPT 4.51". 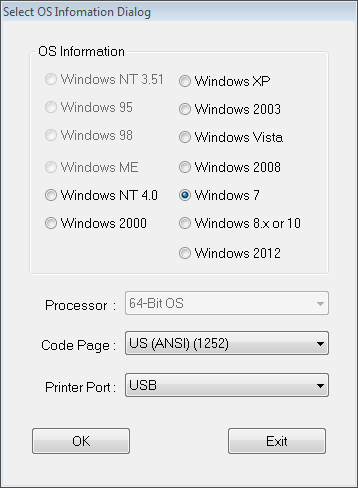 Below in Related Pages are articles with an older version of this driver, and print driver troubleshooting info.